Miller Electric Mfg. Co. has announced the addition of two new models to its dependable lineup of TIG welding solutions. The new Dynasty 400 and Maxstar 400 welders deliver up to 400 amps of output power and exceptional TIG and stick welding performance for applications such as pipe and tube fabrication, precision fabrication and exotic material fabrication. Replacing the Dynasty 350 model, the Dynasty 400 power source is AC/DC TIG-stick-capable and welds up to 5/8-inch-thick aluminum and steel in a single pass. The DC TIG-stick-capable Maxstar 400 — replacing the Maxstar 350 model — welds up to 5/8-inch-thick steel in a single pass. 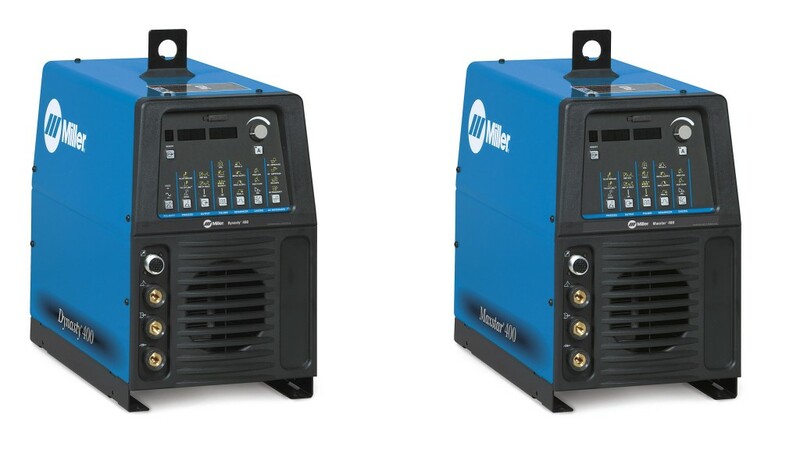 “The powerful, efficient Dynasty 400 and Maxstar 400 deliver superior arc performance and the high quality and reliability that Miller is known for — so welding operators can complete a wide variety of jobs,” said Andrew Pfaller, TIG product manager for Miller Electric Mfg. Co.
Each stand-alone power source also includes the Cooler-On-Demand feature, which operates the auxiliary cooling system only when needed, resulting in reduced noise, energy use and airborne contaminants pulled through the cooler. In addition, the added Pro-Set™ feature eliminates guesswork when setting weld parameters, so the machine is faster to set up and easier to use. Designed for fast and easy upgrade flexibility, the new models include a front-panel memory card data port, for the download of software updates from MillerWelds.com/tigsoftware and the purchase of product feature expansions. The memory card data port provides access to the most up-to-date software so owners can maximize budgets and gain the best machine performance over a longer period of time.